Blue skies, lush green fields and landscaped gardens envelop us as we enter the vast environs of this charming resort. Surrounding us are over 8,000 acres of protected natural forest, situated at the foothills of the outer Himalayas. And with verdurous views all around, we’re eagerly looking forward to our stay at The Oberoi Sukhvilas Resort and Spa, Siswan Forest Range, New Chandigarh that offers several relaxing options for a luxurious getaway from the bustle of daily life. Old-world traditions and contemporary amenities come together to offer a modern take on palace life. We’re enamoured by the fountains, reflective pools, courtyards and colonnades that all add to the charm of the property. 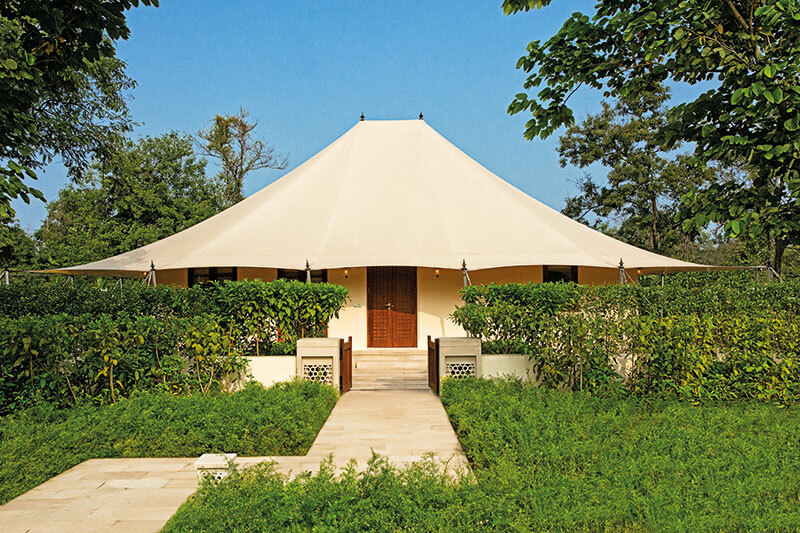 While accommodation at the retreat ranges from luxurious villas such as the palatial Kohinoor Villa, Luxury Villas with Private Pools, Royal Forest Tents with Private Pools, Royal Tents and Premier Rooms, we settle down into the suite, where we are treated like royals for the weekend. 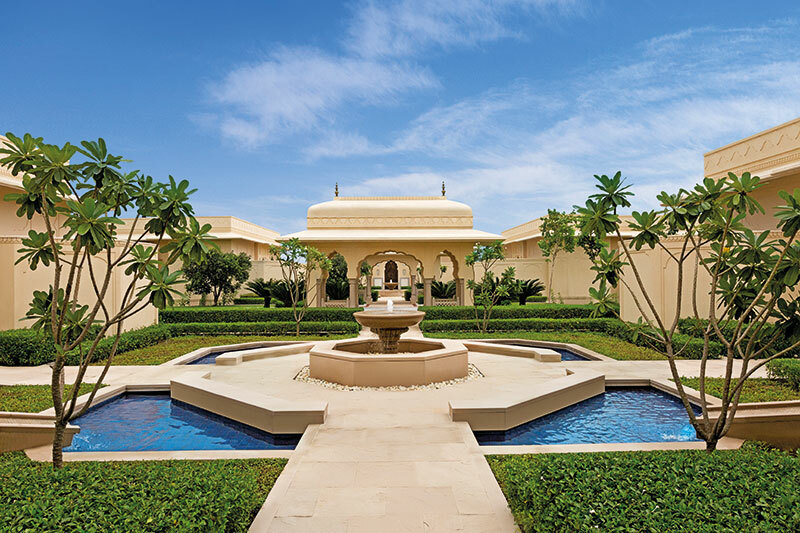 With design elements inspired by Rajput and Mughal architecture, the rooms are complete with four-poster beds, deep-soaking tubs, handcrafted furnishings and private plunge pools that overlook the lush forest. 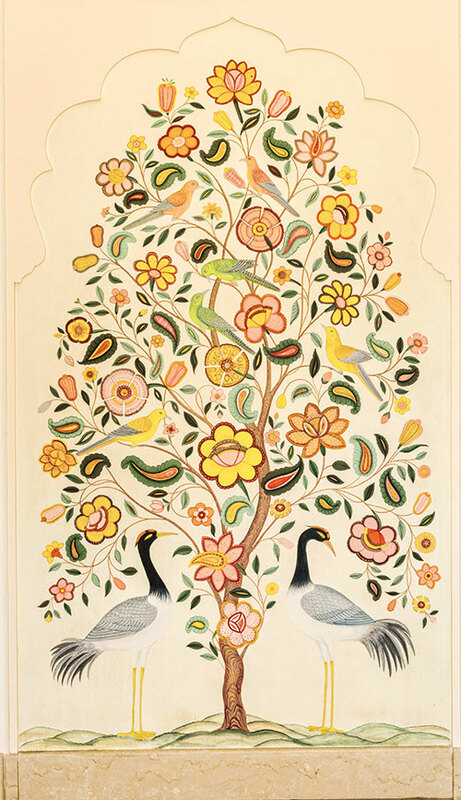 Hungry for the best of international cuisine, we devour a scrumptious meal at their charming Anant Mahal restaurant, all the while admiring the walls decorated with hand-painted, gold-leaf frescoes. Keeping patrons’ health in mind, all the dishes are prepared using seasonal produce, herbs and spices grown at their on-site farm or by local growers — resulting in delicacies rich in aroma and natural flavour. Head Chef Simran Singh Thapar plates up delectable chole and kulcha for us, which we top off with platters of ice cream that is so good, we are left asking for more. Raunaq Bar, that pays homage to Sikh warriors of yore, leaves us satiated with their selection of drinks and snacks. Keep your children busy with a cookie-baking class, as you enjoy champagne under the stars or a session of afternoon tea. We couldn’t wait to treat ourselves to some much-needed rest and relaxation at the property’s tranquil recreational centre. Including Eastern, Western and signature Oberoi therapies, it’s the perfect place to spoil yourself silly. A therapist personally welcomes us in, as we walk around exploring the space filled with natural light. She guides us through the venue’s many offerings — take your pick from Turkish hammam scrubs and infrared sauna treatments to hydrotherapy and aromatic steam sessions. For those who prefer Ayurvedic remedies, the on-site doctor has created stress and weight management and detox programmes that suit one’s needs. 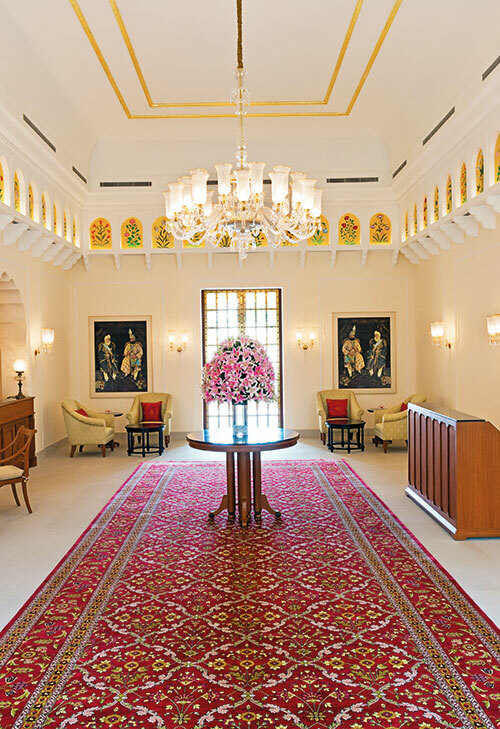 With staff that tends to your every whim, the Oberoi’s newest property is poised to become a haven for those heading to Punjab for either business or pleasure. The resort — just a 30-minute drive from Le Corbusier’s Chandigarh — is ideal for a weekend escape or a long holiday that’s on your mind.